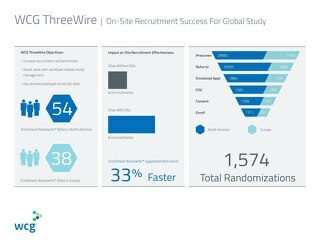 A long term ThreeWire client needed assistance with enrollment at a university-based site in Germany for their study testing an active implantable device used in the treatment of a common sleep disorder. 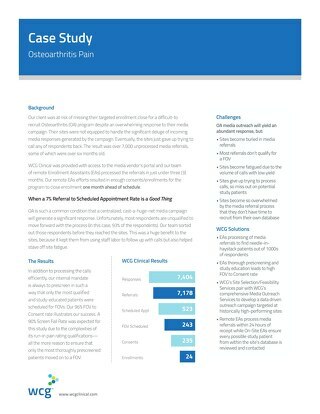 The site did not have the volume of patient candidates needed to meet their enrollment target for the study. 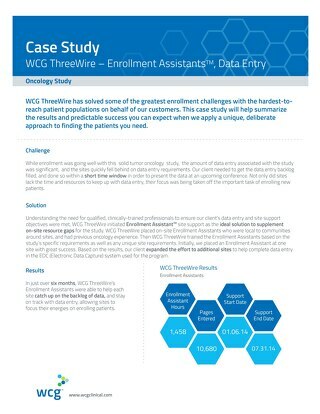 ThreeWire developed a comprehensive enrollment solution involving media outreach using print advertisements followed by prescreening of respondents. In order to maximize available site bandwidth and reduce screening workload, patient referrals were scheduled to attend a Community Health Talk® (CHTs) to learn more about the study in an interactive environment, followed by the opportunity to schedule a site screening visit. 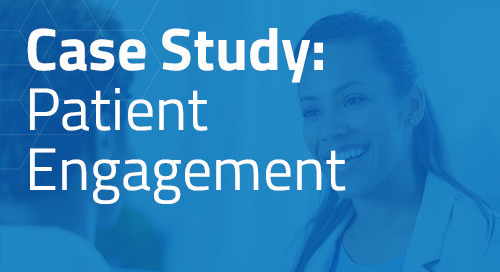 This dramatically reduced the one-to-one time normally needed for patient first office visits and helped streamline the screening and consent process at the site. 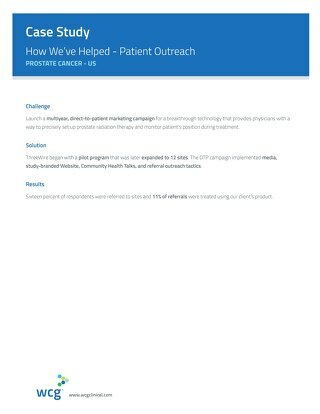 Three ad placements were made in local newspapers, generating more than 200 responses and 80 referrals. 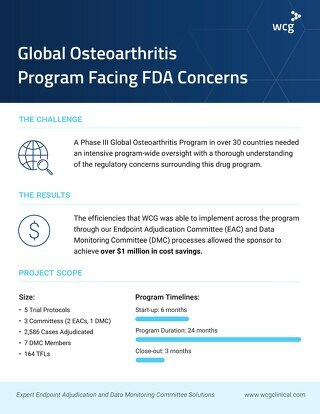 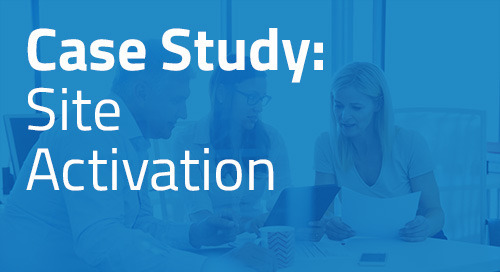 Nearly 60 patients attended one of two CHTs, resulting in more than 50 first office visits and 12 enrollments, thereby completing site enrollment requirements for the study.